In the dental world, October serves as National Dental Hygiene Month for the purpose of educating Americans on proper dental hygiene practices. How often do you brush your teeth and for how long? Do you brush up and down or side to side? Does anyone really know how to floss? 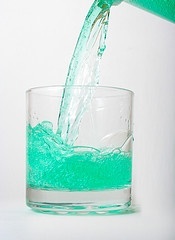 Is rinsing with mouthwash necessary or optional? These are just a few questions that we at Grassroots Dental want to answer for our readers and patients by conducting a 3-part blog series that centers around the different aspects of oral hygiene. The vast majority of dental problems start with a dental hygiene issue.